Conveniently located just off Route 9 adjacent to the Natick Mall, and less than 5 minutes from Route 90/Route 30 Interchange. Not only is Boston the top metro area for venture capital funding for life science, it also offers invaluable proximity to Massachusetts’ renowned hospitals, universities, and big pharma. 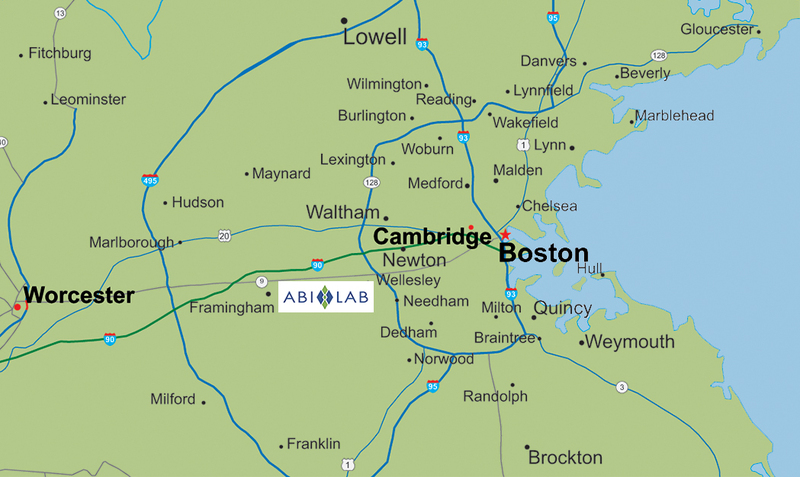 The metro-west market is home to a large concentration of world-renowned life science and biotech companies such as Alira Health, AmericanBio, Boston Heart Diagnostics, Sanofi Genzyme, and Zyno Medical. This impressive tenant community is perfect for any start-up seeking quality lab space and access to top talent. © 2019 ABI-LAB. All rights reserved.